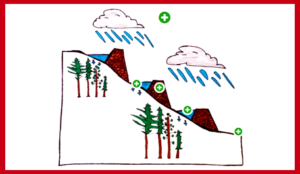 Check dams, or gully plugs, are structures built across channels to reduce erosion, by lowering water speed and accumulating sediments during floods. 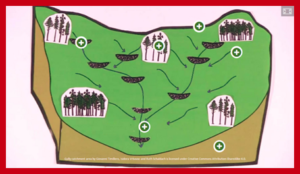 They are often introduced in already degraded areas, where natural or agricultural vegetation cover was lost or not capable of holding the top soil. Usually they are built in areas hit by intense runoff events, where conventional erosion control techniques are not sufficient. 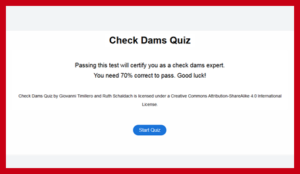 Check dams need to be built at the right places, ideally where water can be directed to suitable areas for groundwater recharge. 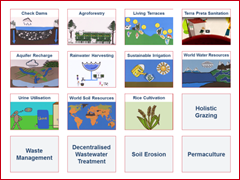 In addition, work needs to be started in the upstream of a catchment in order to avoid destruction of the structures. Due to their relative simplicity and easy implementation, they represent one of the most used stabilisation measures worldwide. For more information about this topic, please click on the elements below. The introductory video and the summary will give you a first insight into the most important aspects of this topic. 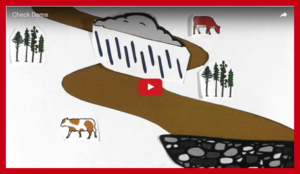 Once you have understood the basic concepts, take a look at the gully catchment area scheme. It will give you a better visual overview of the entire area affected by the check dam installation. 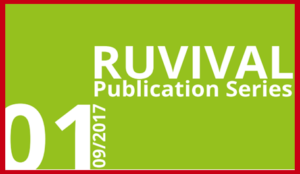 Through the literature review, you with gain more in-depth knowledge on the topic. 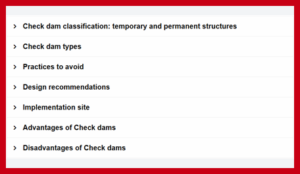 Check dam classification, advantages and disadvantages, as well as the basic construction guidelines and design recommendations, are some of the topics covered. 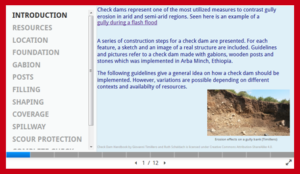 Finally, for those of you interested in knowing even more about building check dams, we have provided a step-by-step building handbook. The handbook is based on a review of different manuals and complemented with pictures, for easy understanding. 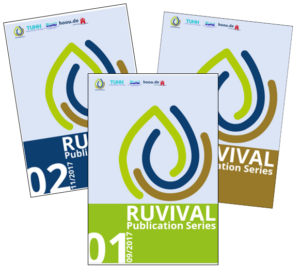 In case you feel like you have mastered this topic, but would still like to know more about rural development, please have a further look at the materials on our website. Please keep in mind that new materials will be available weekly.